If you dream of a life of luxury and think that progressive jackpots are the way to achieve it then take a look at Pragmatic Play’s new Star Jackpots slot. 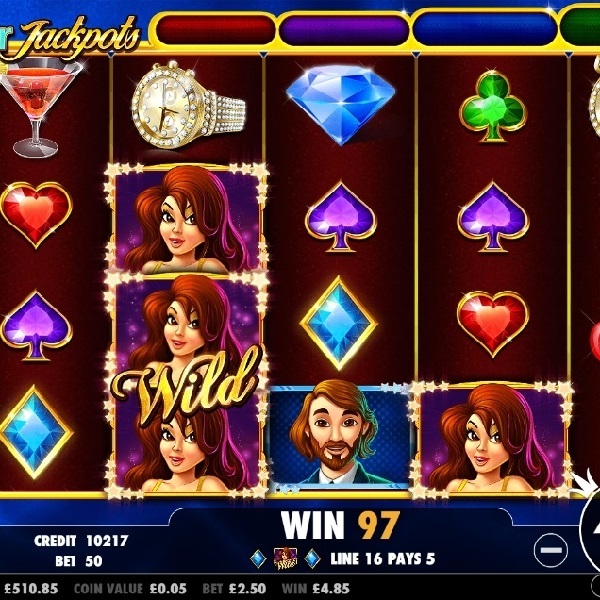 It is a 5 reel slot with 50 fixed paylines. The high value symbols include a man, a watch, a red cocktail, cherries and a large diamond. There is a wild symbol featuring a woman on it and she can land stacked on all reels. The scatter symbol is the game’s logo. On any spin you can win one of the four jackpots, the Rapid, Midi, Major or Mega. If you land the scatter on reels one, three and five you are given three options to choose from. You could win ten spins with randomly added wilds, six spins with locked wilds, a High Award prize of up to 500x your total stake or a Small Award of 1x your total stake.